I’m a big Disney fan and love going to Walt Disney World. So, I thought I would do some blog posts to help people make vacation plans. I’ve been there a lot and have stayed and eaten in a variety of different places “on property”. Am I there every day? No. I live in Maryland, so it’s not really an option. However, I’ve got smallish kids and an adventurous palate and we see as much as possible every time we go. In other words, I’d be a great guide if you want to do lots of stuff and see lots of things. If you are just moseying around to see the theming of the park, I’m not your gal. We have been there at the opening and closing of parks. On. The. Same. Day. Also, I constantly compare rates and deals and examine my options ad nauseum. I use my MBA and law degree to the nth degree to come up with the best deal. I’m that mom. So, even among resorts in the same tier, the prices can vary wildly!! Let’s say you are staying for 5 nights/6 days. You get the 30% off room rates deal. First of all, that deal may not apply to all resorts, especially popular resorts like the Port Orleans French Quarter. But, let’s pretend. So if you get 30% off and go during a value season, let’s round to $60, that’s $300 off. Not too bad. If you get Disney Dining free, that’s $194.86 per day savings, if you have 2 adults, a junior and a child! Huge difference, so it pays to look! The “regular” Disney dining plan is 1 quick service (counter service) meal, 1 sit down meal (table service) and 1 snack a day. Each meal is an entree and dessert. If you use your sit down at the buffet, it’s the whole meal. Doesn’t include tip or alcoholic or speciality beverages (read: blinky toy containing beverages your kid will want– hide that menu!). So, it pays to plan your vacation early and see what deals are available when, as the differences are substantial. There are quite a few websites that do the heavy lifting: mousesavers.com and allears.net are fantastic. But it takes some jockeying between sites to really get a sense of all the savings you can get. There are likely deals offered at this time, from 30% of rooms to free dining. If you can go during these times, you’ll enjoy lower crowds and lower room prices. While the weather can be a bit variable during these times, especially in January, I have found the cost and crowd and cost differential have more than made up for a few chilly days. We’ve encountered 80 degree weather and 40 degree weather. Also, I hate walking around dying from the heat. I went once in June. Never again. 90-98 degrees, unbearable humidity and crowds and lines everywhere. Not really “fun”. Now, the water resorts during this time were a blast! But, I’m not paying low 4 figures to go down a water slide, am I? Like I said, I’m “that mom”. We’ve been on Test Track with 5-15 minute waits. They can go over 2 hours in prime crowd times. The point of this post is not to tell you every deal or every bit of savings. It’s to tell you, you need to look and compare, as the differences are startling. 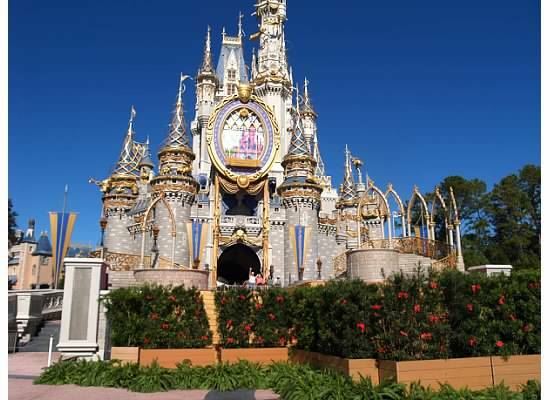 post written 2/14/2014, please check with Disney for updated information. This entry was posted in Walt Disney World and tagged Disney, Disney Deals, Disney World Tips, money saving hints, Vacation planning, Walt Disney World on February 14, 2014 by dawn of food.